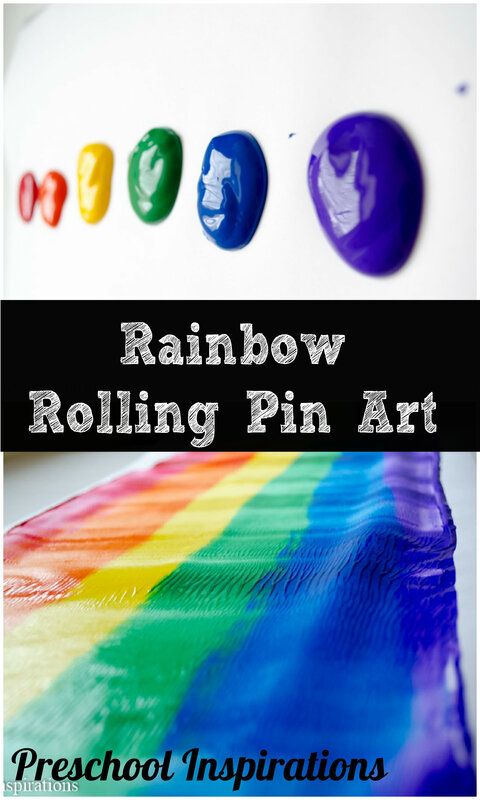 This rainbow rolling pin art project is always a favorite, and we usually do it around our annual rainbow theme. 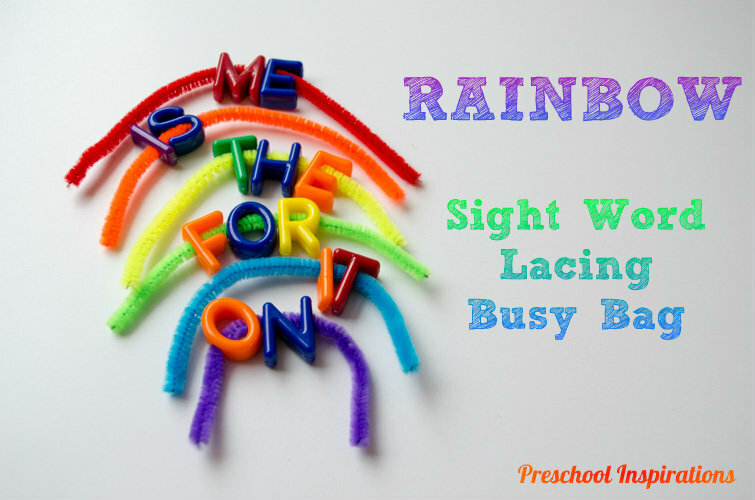 Little ones and big ones can do this with ease, and it always turns out beautifully. It’s even a perfect combination of process art and gross motor skills! Children can do it alone or with another friend. 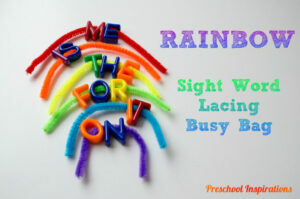 Here are our rainbows from last year. 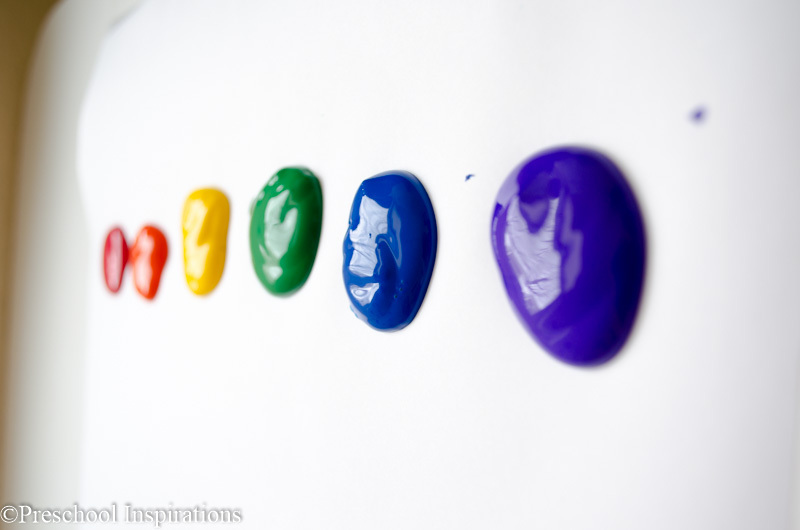 We originally got the idea from Caroline over at De Tout et de Rien and modified it so that my preschoolers could do it without getting paint on their hands. 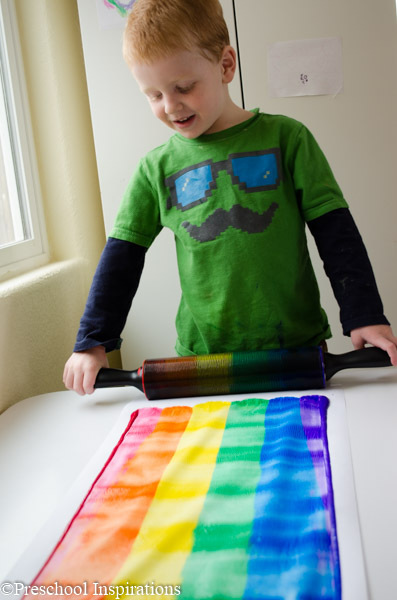 If you don’t have a rolling pin handy or if you have little ones who love the sensory aspect of painting, I recommend using her method. 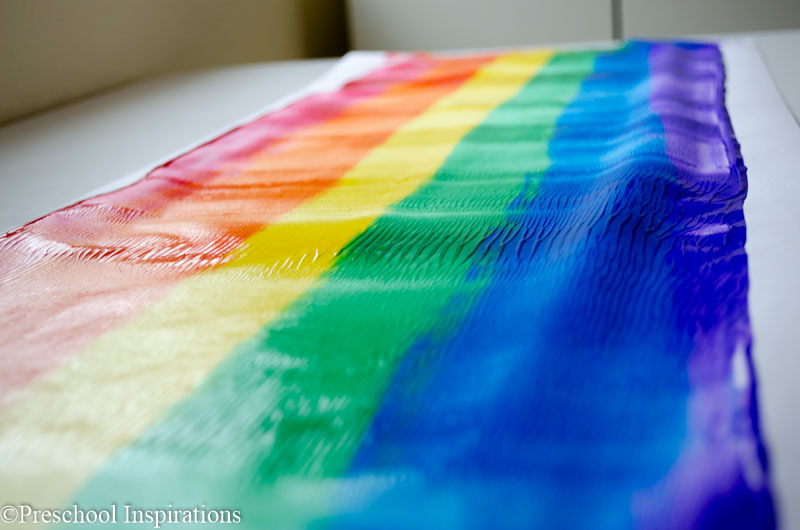 All you need is butcher paper or easel paper , rainbow colored tempera paint , and a rolling pin. I recommend the full size rolling pins. Otherwise, it’s really tricky to get all the colors in. Watch a video of the process! I made a video on Facebook about how to do this if you want to take a peek at it. Or if you are on Instagram you can see it there too. Even though we did this just last year, my own kiddos completely forgot and were so excited to do it again. My part is very minimal. I just taped the butcher paper to the table and helped them squeeze the best amount of paint onto it. It works best if you have the rolling pin there to figure out how to space out the paint. 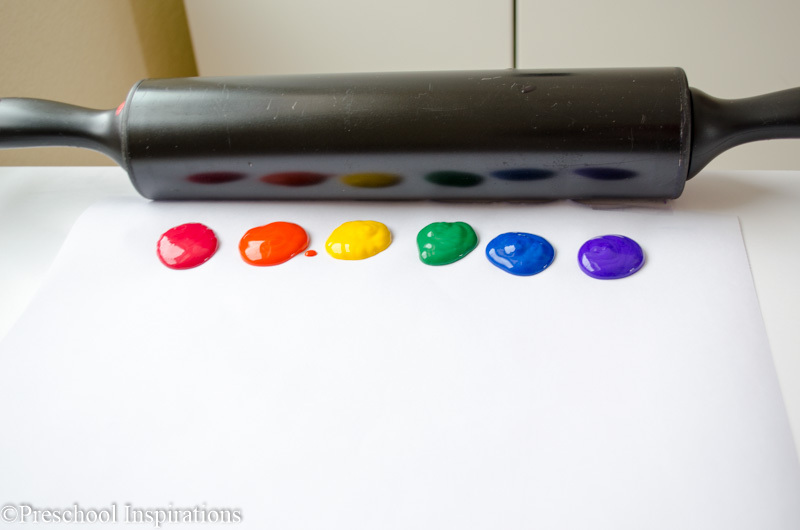 Now all you need is your expert roller to push the paint into a beautiful rainbow. It’s so simple that even toddlers can make this. 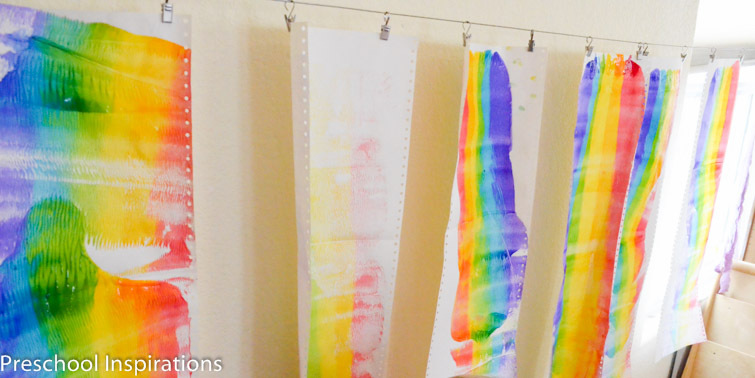 This will be the easiest rainbow they have ever made, and it is so fun! Aren’t the results absolutely beautiful! 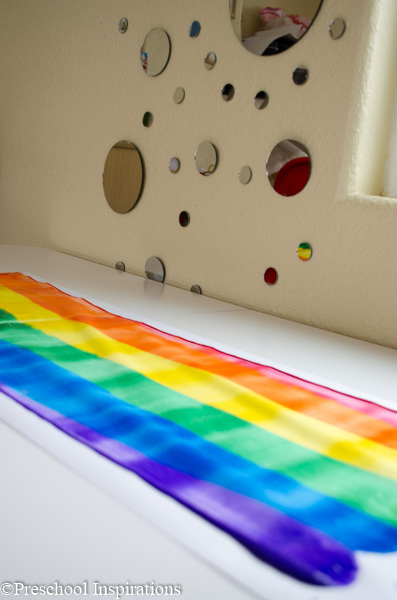 Since they love to roll over and over again, I set the first rainbow aside then let them roll over and over with another sheet.